PLEASANTON, Calif. and OBERKOCHEN, Germany, Jan. 23, 2019 /PRNewswire/ — ZEISS today unveiled a new suite of high-resolution 3D X-ray imaging solutions for failure analysis (FA) of advanced semiconductor packages, including 2.5/3D and fan-out wafer-level packages. 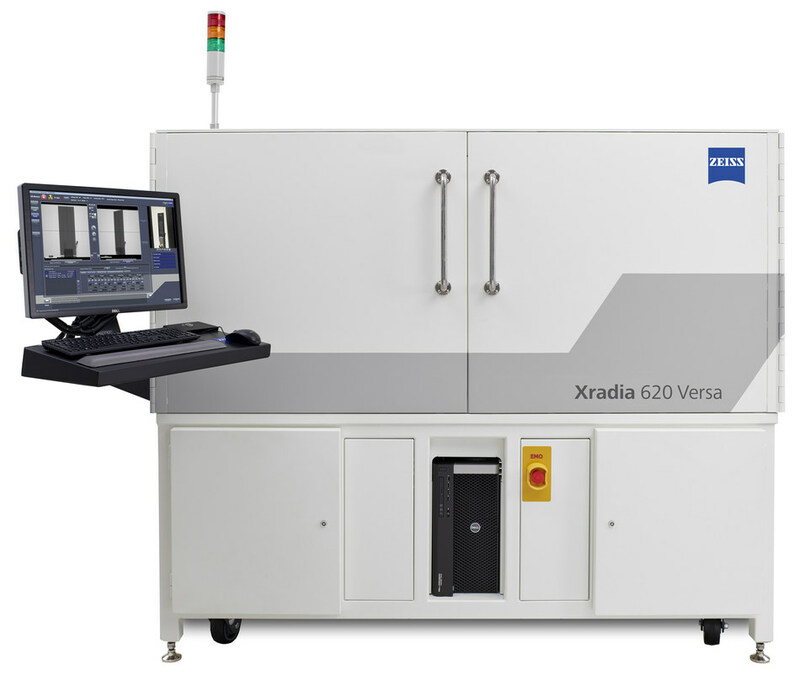 The new ZEISS systems include the Xradia 600-series Versa and Xradia 800 Ultra X-ray microscopes (XRM) for submicron and nanoscale package FA, respectively, as well as the new Xradia Context microCT. With the addition of these new systems to its existing family of products, ZEISS now provides the broadest portfolio of 3D X-ray imaging technologies serving the semiconductor industry. To address these needs, ZEISS has developed a new suite of 3D X-ray imaging solutions that provides submicron and nanoscale 3D images of features and defects buried within intact structures in advanced package 3D architectures. This is enabled by rotating a sample and capturing a series of 2D X-ray images from different perspectives, followed by reconstruction of 3D volumes using sophisticated mathematical models and algorithms. An unlimited number of virtual cross-sections of the 3D volume may be viewed from any angle – providing valuable insight of failure locations prior to physical failure analysis (PFA). The combination of submicron and nanoscale XRM solutions from ZEISS provides a unique FA workflow that can significantly enhance FA success rates. ZEISS’s new Xradia Context microCT offers high contrast and resolution in a large field of view, using projection-based geometric magnification, and is fully upgradable to Xradia Versa. With a portfolio aligned with future growth areas like digitalization, healthcare and Smart Production and a strong brand, ZEISS is shaping the future far beyond the optics and optoelectronics industries. The company’s significant, sustainable investments in research and development lay the foundation for the success and continued expansion of ZEISS’s technology and market leadership.